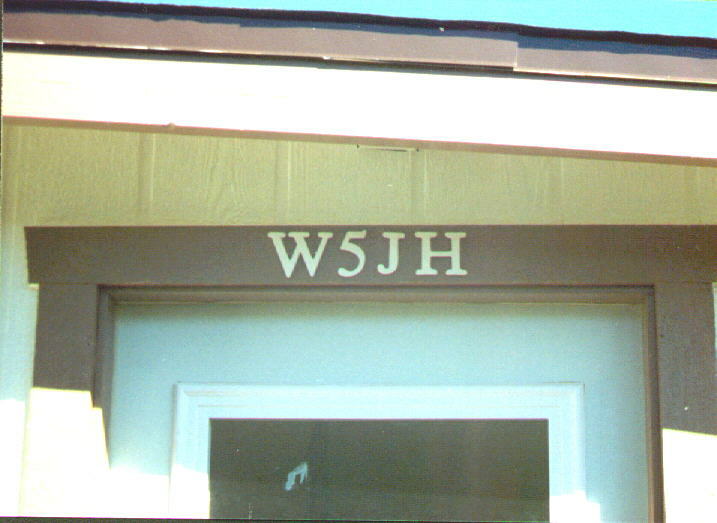 This ham shack was completed on February 26, 1999. 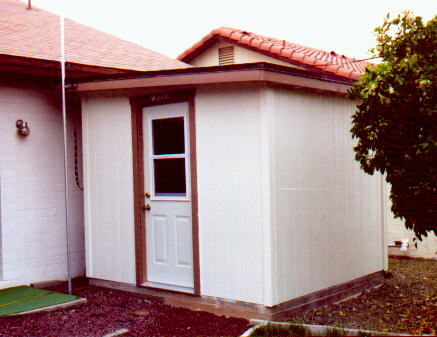 It is a small (8 ft by 9 ft) stand alone building that sits just off of the patio. Pictures were taken during the construction to show the building methods/materials used. The "completed" link above will allow you to view these pictures.